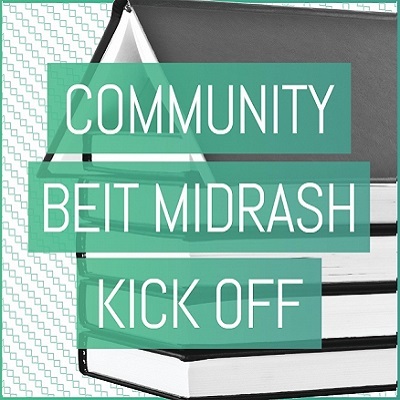 Come prepare for Hanukah with the Community Beit Midrash! Rabba Yaffa Epstein will be speaking on Hanukah: An opportunity to shed light on our habits. Judaism asks us to take on many obligations, and to make these obligations a part of our daily life. But, at times these practices and behaviors can start to feel rote, and unfulfilling. How do we deal with this phenomenon? And what can the holiday of Hanukah teach us about shaking things up? We’ll look at several pieces from the Talmud, its commentaries, as well as the Hassidic masters. R. Aviva Richman (Hadar) – Who Needs Our Light? The mitzvah of lighting Hanukah candles is one of the most beautiful and pervasive, yet the midrash asks why we bother lighting at all. Through the sharp eyes of midrash and the creative interpretations of hasidut and modern thinkers, we will confront a fundamental doubt – that our eight little lights, our work in the world, may seem futile – and we will explore the possibilities of what it means to keep lighting in the face of darkness. Hanukah commemorates the Jewish victory over the Seleucid Greek empire. The miraculous military victory is sometimes downplayed for the more spiritual miracle of the cruse of oil. Rebbi Shimon ha-Tzadik had his own encounter with the Greek empire when he “defeated” Alexander the Great. Come and learn about the hidden light of Hanukah. A strange and oft quoted passage at the very end of tractate horayot of the Babylonian Talmud depicts Mesopotamian rabbis of the early 4th century in a quandary. The two candidates for ascending to the leadership of their scholastic fellowship had different talents. One possessed vast numbers of received oral traditions, whereas the other was more skilled at legal analysis. Not knowing whom to appoint, they write to their peers in Palestine for council, and receive in response that the former should be appointed over the latter. This shiur will explore what kinds of values are being expressed and suppressed in this text. What does it mean for Hanukah to be the only major holiday invented in the post-biblical era? Through Chassidic sources, we will explore Hanukah’s message regarding novelty and creativity in our Torah and in our lives. The Community Beit Midrash is a unique opportunity to grow in Torah learning and deep conversation with the students and faculty of various institutions of Jewish Learning in NYC. Each night of learning will feature shiurim by the faculty of the partner organizations. Pardes is proud to partner with Mechon Hadar in this initiative. Other partners include Yeshivat Chovevei Torah, Yeshivat Maharat, Drisha Institute for Jewish Education and the Jewish Theological Seminary.